In February 24, 2017, Canada's customers to our company headquarters in Wuhan conducted site visits. Quality products and services, companies with strong quality and credibility, good prospects for the development of the industry, is an important reason to attract the customers to visit. The leadership of the company and all employees of Canadian customers expressed warm welcome and arranged to receive detailed work. 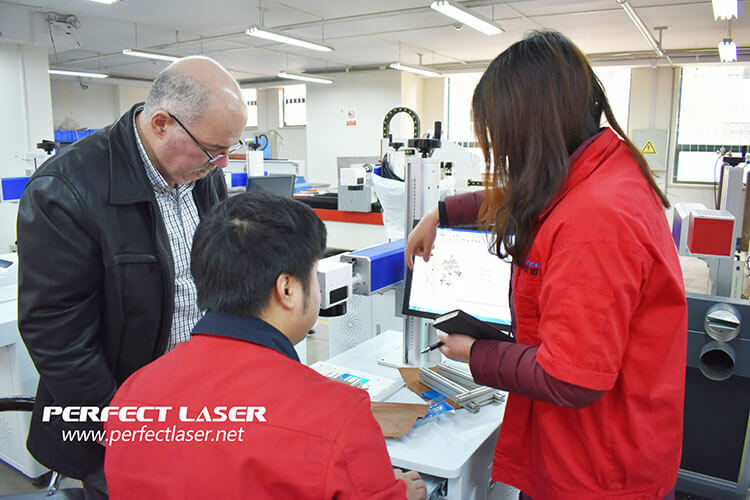 Accompanied by salesman Maggie, Canada customers visit the company production workshop, the relevant technical staff under the guidance of customer on-site test operation of fiber laser marking machine, good marking equipment the performance of our customers and praise! The various problems raised by customers, relevant technical staff have made professional answers, rich professional knowledge and have the ability to work, also left a deep imprint for customers. 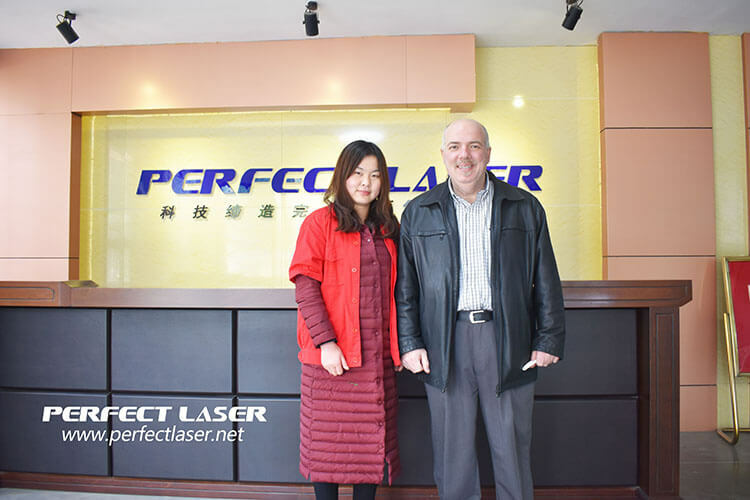 Maggie introduced the production process and equipment of our company fiber laser marking machine marking, marking effect and other related knowledge. After the visit, the clerk of the current development situation of the company, and the improvement of equipment technology, sales case are described in detail. 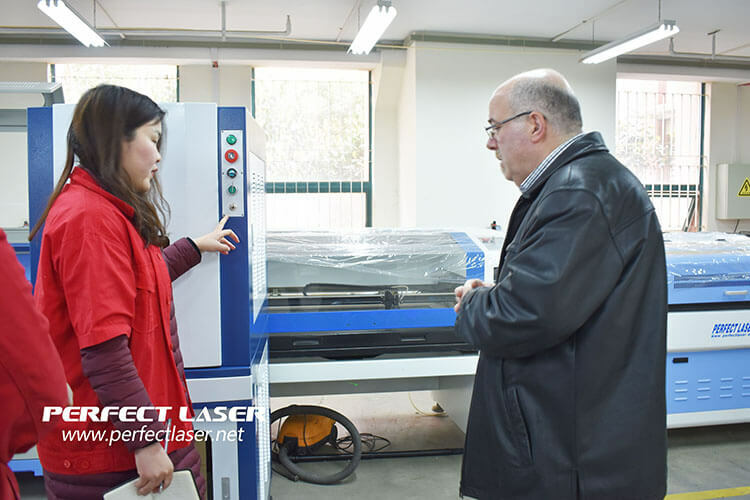 The customer to the company a good working environment, orderly production process, strict quality control, harmonious working atmosphere, left a deep impression, the hard work of staff on the spot, Perfect laser flotilla, and reached a preliminary cooperation intention, said the future will continue to maintain good communication with the laser machine to create a more profound. Friendship, carry out more long-term cooperation and development.